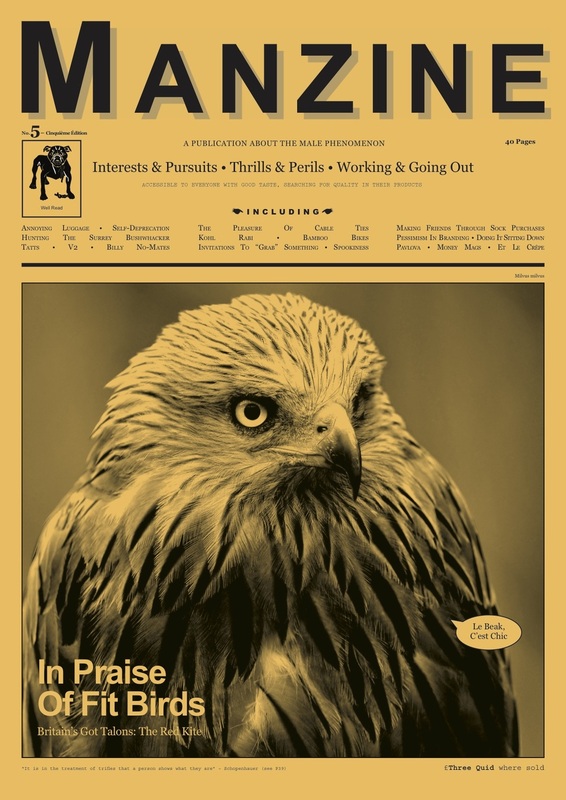 I launched Manzine with Warren Jackson and Peter Lyle in 2008 and it ran for five issues in print, roughly every six months or so until around 2012. We put some of the content on www.themanzine.com, and I ported it all here the other day. Manzine was several things all at the same time – a sort of cathartic art project for men's magazine writers to write what they actually felt and thought (they included people like Richard Benson, Simon Mills, Alex Bilmes, Mark Hooper, Simmy Richman and David Baker who had/still worked for mags like The Face, GQ, Esquire, Arena and Wired), an anti-men's mag men's mag, and an exploration of contemporary masculinity, presented as a fanzine. We wanted it to have the look of a church newsletter – sort of designed by people who don't "do" design as it's usually understood. There is a plan to publish another edition later in 2015 (all previous issues are sold out). Watch this space if you're interested.